Every year I go garden crazy. Filling my raised beds with tomatoes, peppers, corn, kale, arugula, strawberries, sweet peas and more kale. 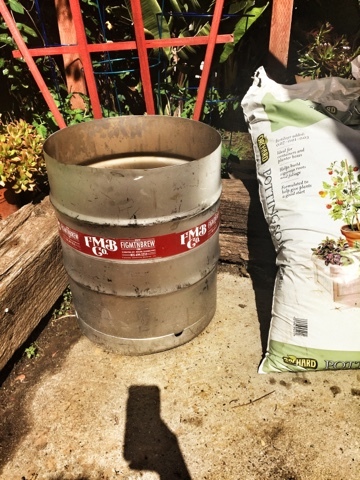 Living in this day of reduce, reuse, and recycle I thought I would get a bit crafty when I ran out of room in my tiny urban garden. 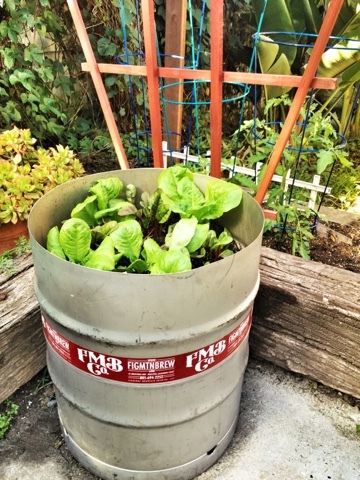 Using an old keg from Figueroa Mountain Brewing Company, I created the perfect super greens salad bowl. Cutting it down was probably the hardest part of this project but thankfully we have contractor friends that made this easy! 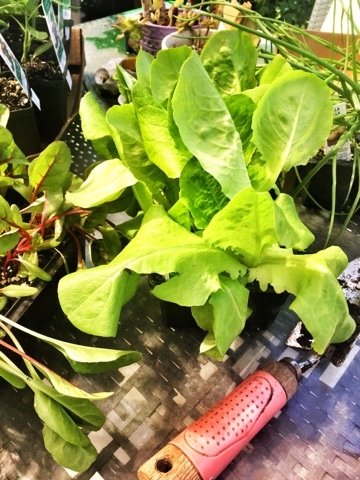 I planted Swiss Chard and Bibb lettuce together with lots of good Santa Barbara magic dirt and organic soil, placed it in a sunny location in my garden and viola! It's growing like a weed! Fun, easy and super cool! I hope everyone enjoys my green project. Happy planting!